For many users of mobile devices, the actual question may be how to find out the apple id, the original account number, which in practice is used for subsequent logging into all the proposed groups as a service from the company. The situation may be due to the fact that the owner of the unit simply does not remember what the identifier is. Currently, the practice offers several ways to determine the ID. Often, an identifier can be combined with an email address. For this reason, first of all, you can try to check all previously entered email addresses, perhaps one of them can easily come to your device and make it fully functional, open access to all necessary services. To find out your own device ID, you need to go to the appropriate page “My Apple ID”, after which you should try to find the necessary data for logging in to the system. To search for the necessary information, you will need to enter your first name, last name, user, as well as any known e-mail addresses. It is worth noting that as a result of such a search several identifiers can be found, if such a situation occurs, it is worth choosing the identifier that fully corresponds to the current state of mail. Further, after identifying the identifier, you should use the instructions presented on the screen, try to reset the previously set password. What is remarkable, in this case, the identifier will serve as analogs of the email address, which will be displayed on the screen to change the system password. You can easily check the status of the login, as well as whether the process of changing the password has been completed. 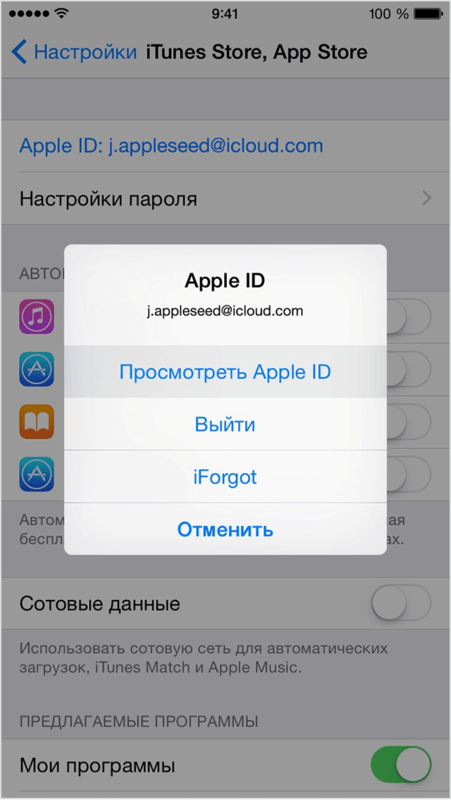 The check is carried out on the iphone in the corresponding section of the “Settings”, where you will need to change the settings set for iTunes, FaceTime, iCloud. The values ​​are set for these functions in the “Send / Receive” system, after which the identifier is determined on the screen. If after these introductions it is impossible to remember your own password, you will need to reset it, and then go through the registration procedure again. When analyzing an identifier, changing it, in the corresponding section “information” all data, first of all, the name, will be positioned as invalid. To do this, you need to open the program, click on the previously purchased material, which are listed in the "Playlists" sections, open the menu with their properties. After that, you will need to open the "File" tab. If everything was done correctly, the user ID that was previously used in the process of purchasing the material will be indicated in brackets next to the item. As in the previous situation, if there is no positive result, you will need to perform Password resetfor subsequent re-registration. It is important to remember that the moment that it is necessary to know only one identifier, obtaining information about several parameters will lead to confusion, it will significantly complicate the search for the correct data set. Otherwise, you will need to re-gain access to various information materials and applications. Today, this is all, I would be grateful if you share your opinion on this article in the comments below. You can also share this article on social networks. 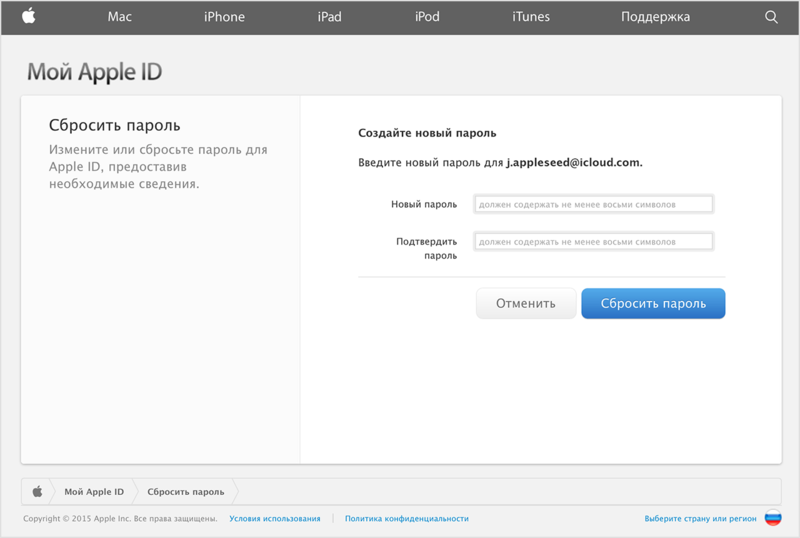 One thing remains - find the receipt for the purchase of the official device and contact Apple support. 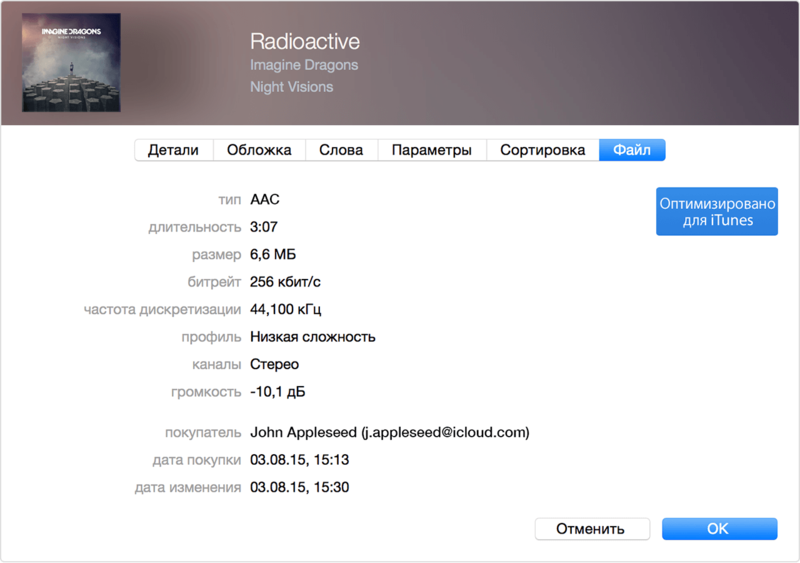 There is no other way to recover an Apple ID.